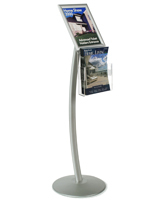 This 11” x 17” silver sign stand with literature pocket is an affordable and effective promotion tool. 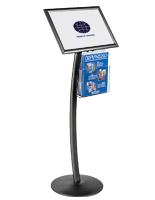 Featuring a curved design, this floor display is compact and light enough to be easily moved and repositioned. 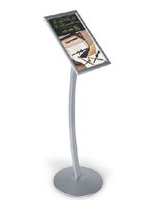 Place flyers or catalogs in the acrylic holder suspended from this curved sign stand to complement your poster. 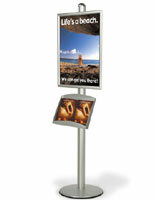 With its snap frame, you can effortlessly change out the graphics framed in this floor display. 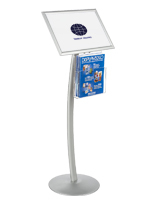 Keep your sign stand looking fresh and updated by replacing your graphics with an eye-catching poster or design periodically. 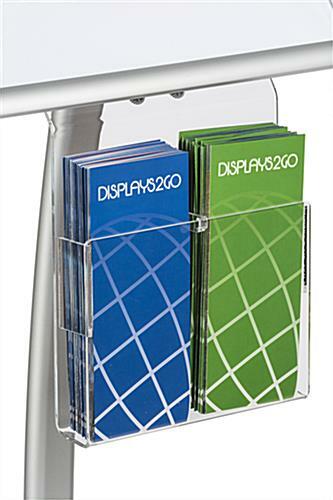 Additionally, each acrylic holder features a removable divider, allowing you to display one compartment of 8.5” x 11” magazines or two compartments of 4” x 9” pamphlets. 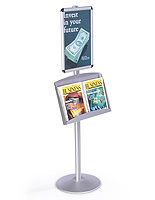 We purchased two of these products for a mall display we put up. I think in general they are good quality, but you do have to put them together, tools are not provided, and the metal could be in pristine shape. 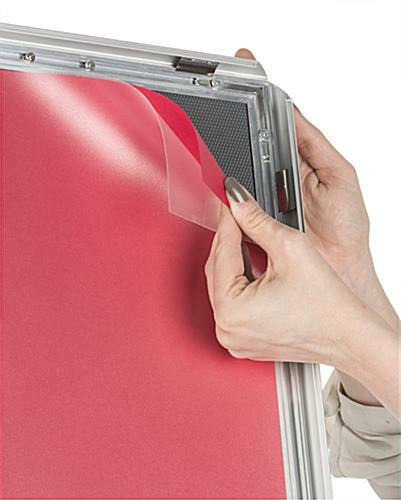 Also, initially it looks like you would receive a plastic protector with the frame (as seen in photos) for your display but, it does not come with one and is slightly misleading. Hi Nicole, we are sorry that you didn't receive a lens cover with your frame. 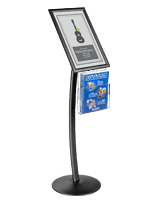 A member of our customer service team will be reaching out to you. Ours came last week. 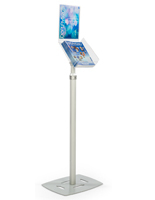 I just put it together and ours also did not include the protective cover. Posted 6 months ago by Melissa T.
Arrived promptly. Easy to put together. Sturdy and nice sign. I would buy this item again.